Leominster, MA – April 2010 – Res-Tech, which was founded in 1976, utilizes 60,000 square feet of manufacturing space split between its locations in Leominster, MA and Clinton, MA. The company employs approximately 70 people and recently reported sales in the $8 million range. Res-Tech is a custom injection molder and contract manufacturer for OEM customers in the medical, defense, automotive agricultural and construction industries. Plastic Molding Manufacturing is headquartered in Hudson, MA and was formerly known as IntegraTECH Solutions. 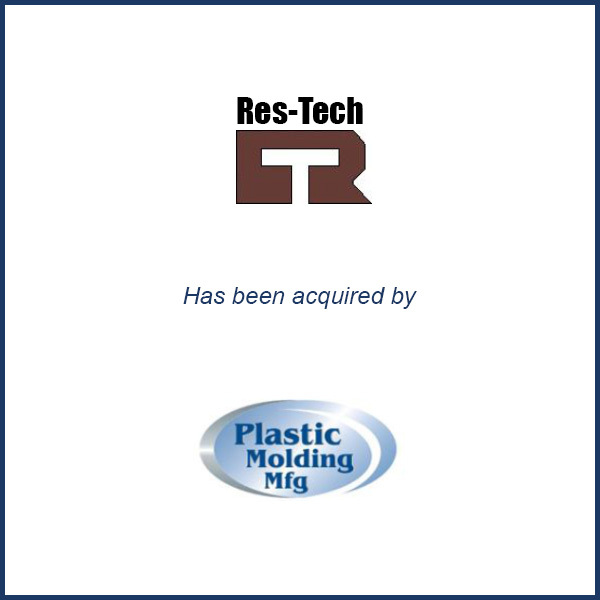 Molding Business Services served as the exclusive financial advisor to Res-Tech Corporation in connection with its April 2010 sale to Plastic Molding Manufacturing.